At Nia Jones Orthodontics, we understand the needs of our patients and deliver the highest quality of orthodontics and service to them. We always focus on our patients, have a passion for results, pursue innovation and new ideas, and have the highest level of integrity and trust so we can always succeed with treatment. Our friendly and relaxed office enables us to deliver the best service while keeping our patients comfortable. We take digital X-rays, which give us the highest quality of X-ray images with the smallest possible dose of radiation for the patient. We also have a satellite office in Nebraska City so we can serve our community well. When you choose to receive orthodontic treatment at our office, you’ll realize we treat all our patients like they are part of our family. 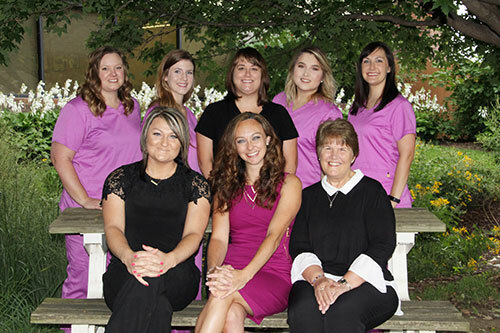 Our entire staff is dedicated to making your visit as smooth and pleasant as possible. We’re passionate about what we do and hope you’ll give us the chance to give you the smile you’ve always wanted! We love that our patients are unique. It means a lot to us to know the person behind the smile. We always focus on you and we customize your treatment to fit your needs and your goals. The atmosphere of our practice is warm, inviting, and fun. We love laughing with each other and with our patients. Our doctors perform a complete diagnostic evaluation, explain your orthodontic needs, discuss your treatment options, and work with you to develop an individualized treatment plan. We hope to teach and inspire you! We feel that everyone deserves a healthy smile! So, we offer flexible payment options. We work with your family to develop an interest-free payment plan tailored just for you. We also offer discounts for multiple family members in treatment. And, we accept and file most insurances so that you have the lowest possible treatment fee. Positive reinforcement works! We love rewarding our patients for things like excellent oral hygiene, great compliance, and being on time for appointments. We only use the highest quality orthodontic products including metal braces, clear braces, Invisalign®, and digital radiographs. The best technology allows for improved aesthetics, comfort, treatment efficiency, and results. We balance the artistry in creating your smile with evidence-based orthodontics and decision making. We are up-to-date with the latest advances in the science of our field with continuing education courses and research from our profession’s most respected journals. We deliver excellent, cutting-edge care with attention to detail. We are perfectionists! We are committed to giving you a healthy, beautiful smile that you’re head over heels for. We believe your time is just as important as ours. We work very hard to accommodate your busy schedule by offering convenient appointments and staying on time. Many of our team members have been with our office for more than ten years! They are experienced and incredibly talented, consistently deliver exceptional service, and are genuinely nice. Are you ready to begin smiling with confidence?